You may feel like you are not eating a lot but are still gaining weight. At some point it starts to frustrate you, especially in light of the exercise routines that you are doing to try and maintain your weight. It’s crucial to understand the reasons behind any weight gain to find a suitable diet plan that works for you. 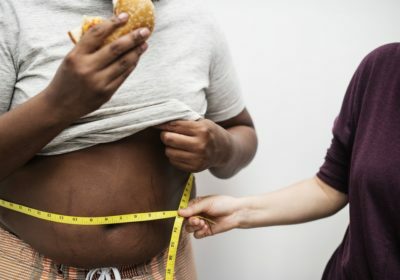 You might not be eating a lot, but the food you eat might be mostly junk food which contains no nutrients that are good for your body so instead, it provides calories that keep on adding to your weight. The presence of refined ingredients and preservatives makes these foods terrible for your health as even though they might have excellent taste, but they will only make it difficult for you to reach your target weight. You might have favorite foods and there is nothing wrong with eating them often. As if they have the necessary nutrients to keep you healthy, feel free to continue eating them. However, if they contain addictive substances that are terrible for your health, you need to stop or at least limit your intake; Caffeine, alcohol, and sugar are among them. Some medicines could hurt your body, so therefore even if you feel like you have already tried everything to stay fit; you might still end up gaining weight. If this is the case, consult your doctor regarding the medicines you take and which one of them could be the cause of your weight gain – see if you can also ask for a replacement medicine. The reason why you keep eating might be that you always have something readily available to eat. When you empty your fridge it will be easy for you to lose weight, as it’s easy to feel tempted to walk towards the fridge and see what you can eat. If you think an empty fridge is not possible, you could stock it with healthy options that you can quickly grab any time you are hungry. You may think that you are on track to lose weight because of the diet technique that you follow, however not to your knowledge the program you’re on does not work for your body type and as a result, you keep gaining weight. You might also be following a diet trend that you think works because it is popular and if so, you need to reassess that plan. If you can consult your doctor first, it would be much more useful as you’ll then know what diet program would be suitable for you. Perhaps a keto diet would be the right plan for you to follow, and you can opt for a keto meal delivery service if you have no idea where to begin with it. With the help of keto food delivery, you can start as soon as you want simply by having all your keto meals delivered to your home. Avoid feeling frustrated if you keep putting on weight. Instead, you need to understand the reasons behind the weight gain and try your best to change any bad habits you have.